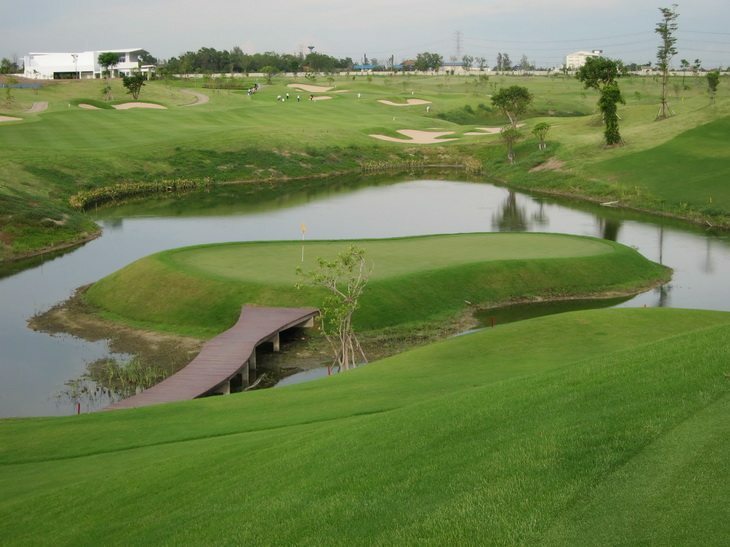 Aside from its excellent conditioning and undoubted challenges, the real joy of Riverdale Golf Club lies in its wonderful interplay of gently rolling fairways, many small reed-lined lakes, raised greens, excellent bunkering, and large hills that break-up some of the layout's innate openness. After negotiating many immaculate, subtly breaking greens and hopefully coming through the 18 holes with scorecard relatively intact, enjoy cool refreshments at the contemporary styled club house which overlooks the 1st and 18th holes. Elegant locker rooms provide for nice changing facilities characteristic of a 5-star private members golf club. Insiders Tip: Ask to play the back nine first. Then, by the time you reach the “Rice Mill Corner” comprised of (1) the dogleg par-4 7th , (2) the serious par-3 8th with a choice of greens including a water-protected island or postage-stamp with pot bunker and (3) the stunning long uphill par-4 9th your game may already have been given a bit of a mauling. However, save some strength for these 3 great “finishing” holes and you will be amply rewarded.